Create an original study tour for your group to maximise your New Zealand experience! 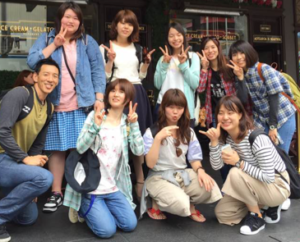 Why choose NZLC Tour programme? • 100% your style – Let us know your idea and NZLC can make it a reality. • A personalised and flexible experience FREE of hassle. • Over 30 years of experience hosting groups. • Group size ranging from 5 to 100 students. • Over or under 18 years old. • Integrated or separated classes. • Every detail from arrival to departure organised by our staff. • Strong partnerships with local schools, communities and activity providers. We also offer General English (11 years +). Study English full time or combine part-time classes with exciting activities and New Zealand cultural experiences. English Teacher Training (18 years +). Gain an internationally recognised certificate which allows you to teach English in your country. Get an authentic New Zealand experience while studying at a local school with a buddy. Professional Development / Academic English (18 years +). Develop your English with a specialised course focusing on topics such as English for Business, Hospitality or Farming, including field trips. Rugby – Experience world class rugby training in New Zealand (16 years +). NZLC is proud to be taking part in ‘Game On English’, combined programme with the Auckland Rugby Union. We can also organise a variety of sports training sessions for your group. See more. WHAT OTHER SERVICES CAN NZLC OFFER? • Integrated English classes with other international students. • Closed classes with a personalised curriculum. • Accommodation (Homestay / farm stay / city apartment). • Transportation to/from school or a public transportation pass. • Mobile phone or SIM. • Accompanying teachers and escorts. • Coordinators – first language support. • Activities, excursions and overnight trips and more! *Students under 10 years old must be accompanied by a parent. Kent Hatashita, Group Tour Leader.